Div. 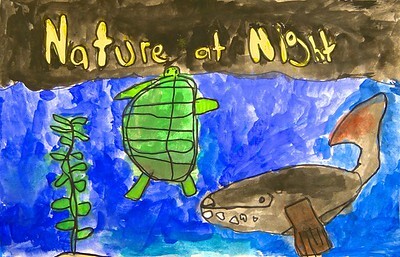 1 First-Place Winner: Northern Right Whale and Sea Turtle off the Coast of Georgia by Braylen Harrison, Age 6, Kindergartner at Funston Elementary in Funston, GA. Teacher: Debbie Taylor. Div. 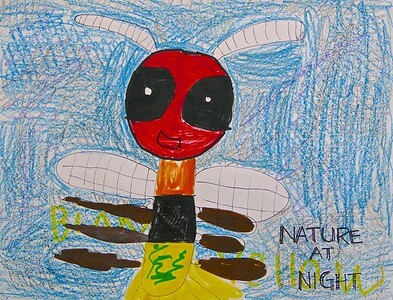 1 Second-Place Winner: “Bright Bright at Night” Firefly by Raimee Brown, Age 6, Kindergartner at Pine Log Elementary in Rydal, GA. Teacher: Charlene Such. Div. 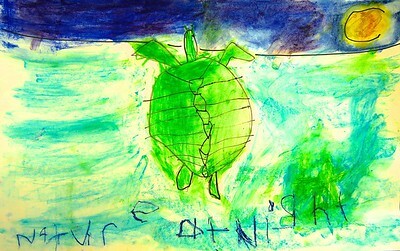 1 Third-Place Winner: Sea Turtle in chalk pastels by William Speir, Age 5, Kindergartner at St. Joseph Catholic Parish School in Athens, GA. Teacher: Frances Chapman. Div. 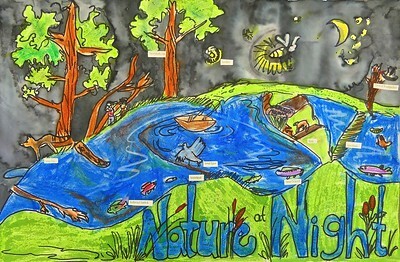 2 First-Place Winner: Georgia Wetlands at Night by Suri Nguyen, Age 7, 1st Grader at Jackson Elementary School of the Arts in Jonesboro, GA. Teacher: Briana Long. Div. 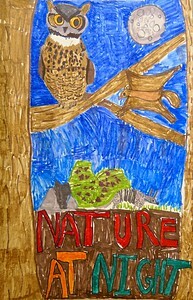 2 Second-Place Winner: Great Horned Owl, Flying Squirrel, Armadillo, Live Oaks and Purple Beautyberry by Logan Cordes, Age 7, 1st Grader at South Effingham Elementary in Guyton, GA. Teacher: Lynn Miller. Div. 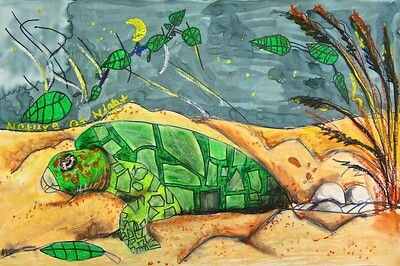 3 First-Place Winner: Loggerhead Sea Turtle Laying Eggs by Amore Morgan, Age 10, 4th Grader at Jackson Elementary School of the Arts in Jonesboro, GA. Teacher: Briana Long. Div. 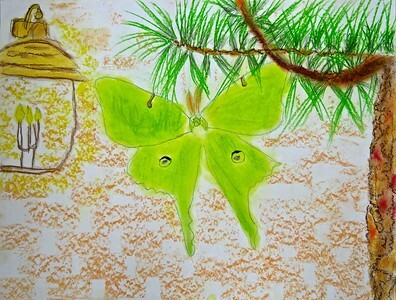 3 Second-Place Winner: Luna Moth on a House Near a Pine Tree and Light at Night by Madelyn West, Age 8, 3rd Grader at Art by Gwen Studio in Vidalia, GA. 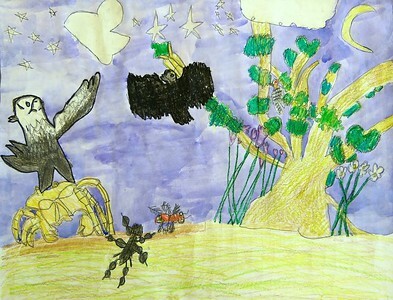 Teacher: Gwen Davis. Div. 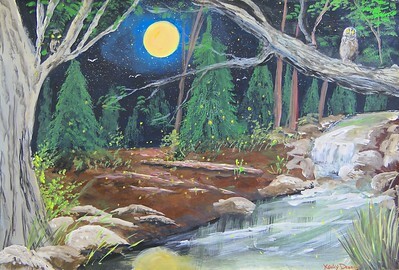 3 Third-Place Winner: Nature at Night (Waterfall, Owls, Fireflies and Bats) by Kady Dennis, Age 9, 4th Grader at Mountain View Elementary in Ellijay, GA. Teacher: Misti Foster. Div. 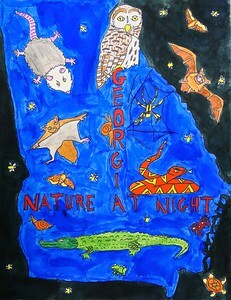 4 First-Place Winner: Nature at Night in the State of Georgia by Deztiny Favors, Age 10, 5th Grader at Williams Elementary in Savannah, GA. Teacher: Bart Susany. Div. 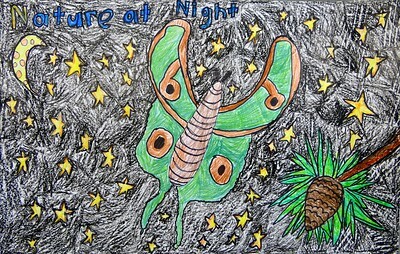 4 Second-Place Winner: Luna Moth Flying in the Night Sky by Jenna Morgan, Age 10, 5th Grader at Funston Elementary in Funston, GA. Teacher: Debbie Taylor. Div. 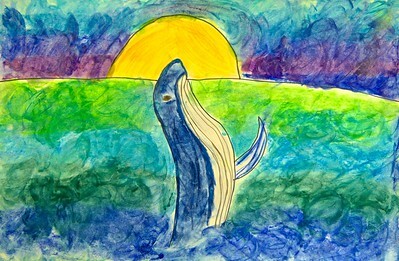 4 Third-Place Winner: Whale in chalk pastels by Rachel Wicker, Age 10, 5th Grader at St. Joseph Catholic Parish School in Athens, GA. Teacher: Frances Chapman.